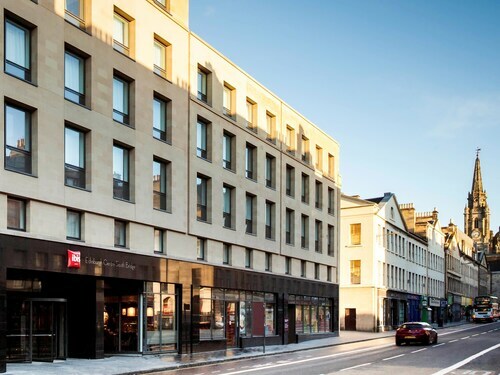 Haymarket Hub Hotel enjoys a central location in the Scottish capital, opposite Haymarket Station which has direct tram connections to Edinburgh Airport. Many central sights are within walking distance: Princes Street is a 12-minute walk, and Edinburgh Castle is 1.5 miles (2.4 km) away. 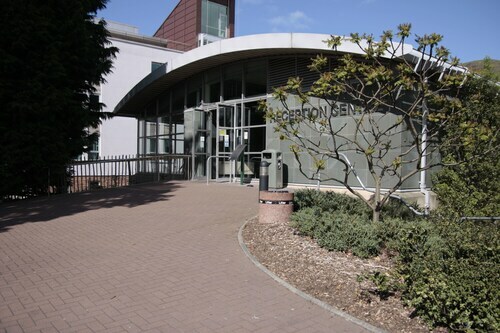 Located in Newington, this hostel is within 1 mi (2 km) of Royal Commonwealth Pool, University of Edinburgh, and Princes Street. 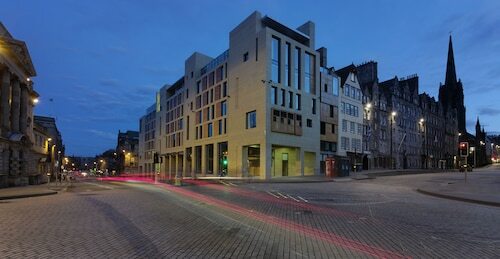 Royal Mile and Grassmarket are also within 1 mi (2 km). Edinburgh Waverley Station is 25 minutes by foot. 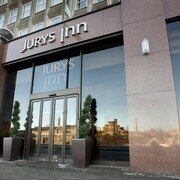 Located in Old Town, this hotel is steps from City Art Centre, Princes Street, and Royal Mile. Edinburgh Dungeon and Real Mary King's Close are also within 5 minutes. Edinburgh Waverley Station is only a 3-minute walk and Edinburgh Haymarket Station is 25 minutes. 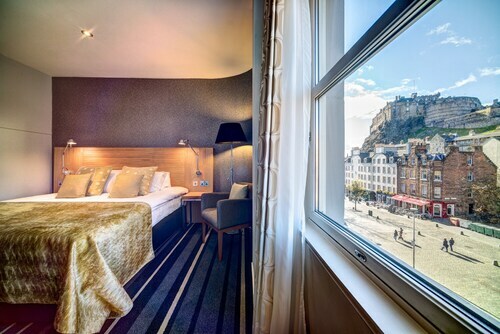 Built in 1903, this grand landmark hotel is centrally located on Princes Street, overlooking Edinburgh Castle. 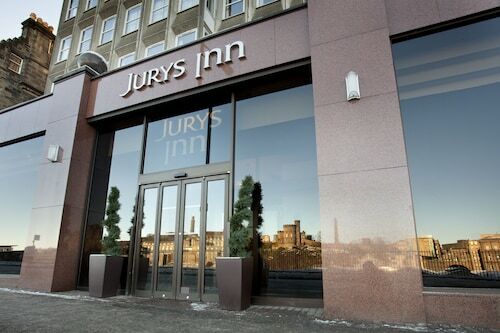 Located in the heart of Edinburgh, this luxury hotel is on Princes Street in the main shopping area and adjacent to Waverley Station. 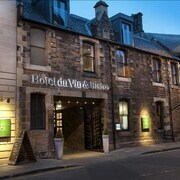 The hotel overlooks Edinburgh Castle and is close to the historic Old Town. 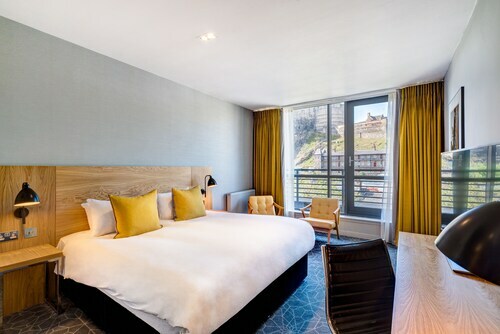 The modern Radisson Collection Hotel, Royal Mile Edinburgh offers a prime location just off Edinburgh's Royal Mile and about a 5-minute walk from Edinburgh Castle. How Much is a Hotel Room in Edinburgh? 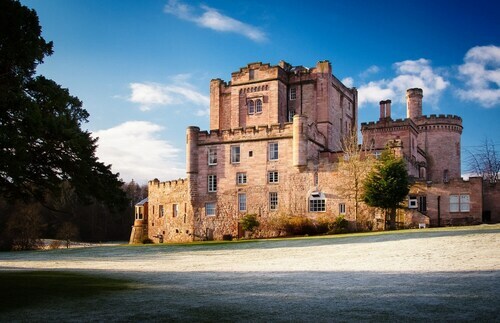 Hotels in Edinburgh start at C$73 per night. Prices and availability subject to change. Additional terms may apply. This ancient city is the United Kingdom's most popular destination (after London) due to its dense historical beauty and cultural offerings. 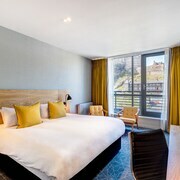 Situated along the shores of the broad Firth of Forth, the best Edinburgh hotels will give you a view of the waterfront activity. 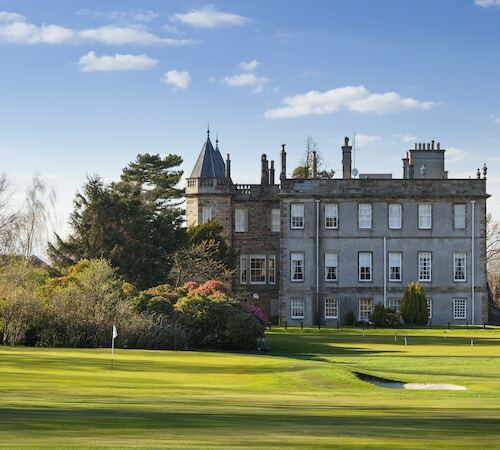 If you love castles, this is your ideal destination: not only can you explore Edinburgh Castle and the Palace of Holyroodhouse, but the entire city is filled with antique buildings that look like castles themselves. 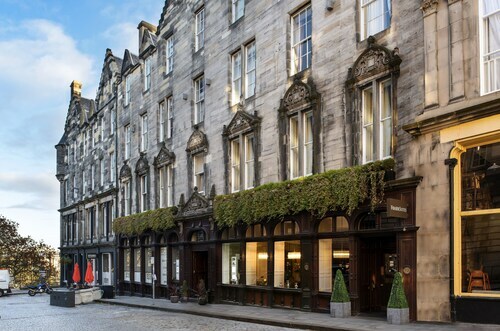 Medieval relics share space in this literary capital with avant-garde art and cutting-edge nightlife, and cheap hotels in Edinburgh will put you at the center of the whole beautiful mix. Summertime in Edinburgh is nearly one continuous festival, as locals and visitors alike enjoy the interval of warm weather. The Edinburgh International Festival is the big one, offering world-class music and theater performances. Numerous other festivals focus specifically on bagpipe music, books, jazz, comedy, and film. In winter you can join the city's four-day celebration of Hogmanay, welcoming the new year with fireworks, parades, and concerts. 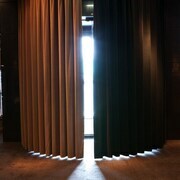 For a quieter experience, spend a few fascinating hours in the free National Museum of Scotland. You'll find history, nature, refreshments, and an unequaled view of the city from the terrace. Are you ready for haggis, black pudding, and deep-fried Mars bars? Traditional Scottish food poses a challenge to some international visitors, but fortunately this cosmopolitan city has countless delicious and more familiar culinary offerings. Fish and chip places are popular, and they accompany their fresh offerings with "salt-n-sauce," which is vinegary, salty, and downright delicious. 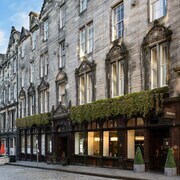 The numerous luxury hotels in Edinburgh provide exceptional dining experiences. 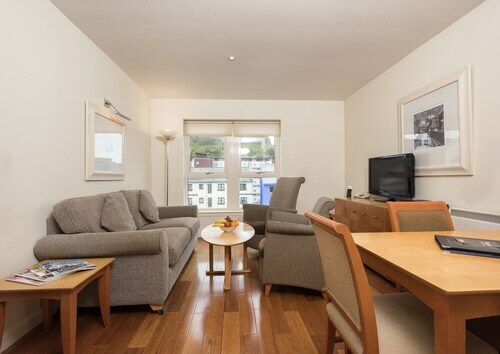 Edinburgh is also filled with great deals on affordable accommodations close to galleries, museums and shops. For travelers, hotels near Haymarket provide easy access to trains serving all of the United Kingdom at Haymarket Station. If you fly in, there are plenty of accommodations available as well. 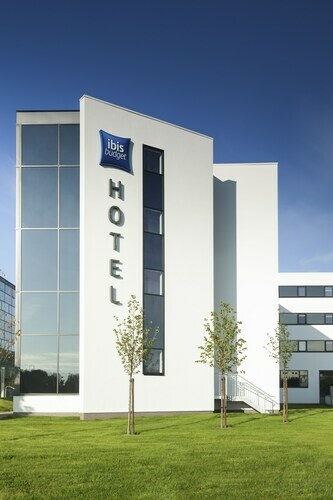 Check Travelocity's listings for a great selection of hotels near EDI airport. Great grounds. Unresponsive staff. The food service was horrible in the dungeon. Not what you would expect for that price. Friendly staff. Rooms are wonderful. The location is perfect. 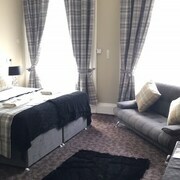 Very nice, right in the heart of Edinburgh Old Town. Would highly recommend. Very good location walking distance to restaurants and sights. We arrived very late and were told there was a problem with our room. They cheerfully arranged for another hotel and arranged a cab to take us there but it was an inconvenience.